Intensive farming practices require a high plane of nutrition, which typically includes high levels of fermentable carbohydrates which can put the animal at risk for developing metabolic disorders, in particular, challenges to rumen stability and sub acute acidosis. 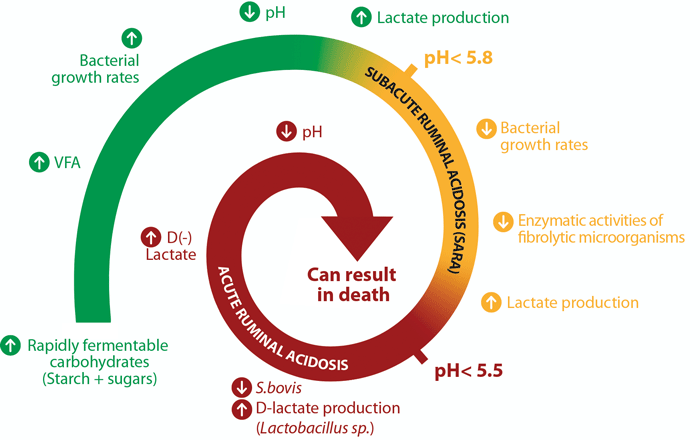 Different degrees of acidosis appear when the fermentation profile of the rumen is unbalanced by high levels of lactic acid or butyric acid.26ReferenceView allKrause K.M., Oetze G. R. 2006. 27ReferenceView allEnemark J. M. D. 2008. 28ReferenceView allGonzález L. A., Manteca X., Calsamiglia S., Schwartzkopf-Genswein K.S., Ferret A. 2012. 29ReferenceView allCastillo-Lopez E., Wiese B. I., Hendrick S., McKinnon J. J., McAllister T. A., Beauchemin K. A. and Penner G. B. 2014. Adapted from Nocek. 12ReferenceView allNocek J. E. 1997. The microbial ecosystem in the rumen ferments carbohydrates into VFAs. These products are absorbed though the rumen wall into the blood and used like energy source for the animal. The three main VFAs are acetic acid, butyric acid and propanoic acid. 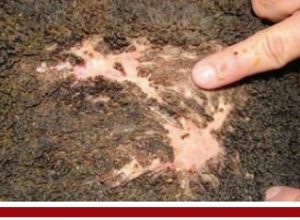 (VFA) production that exceeds the ability of the rumen to neutralize and it exceeds the absorption capacity of the ruminal papillae. 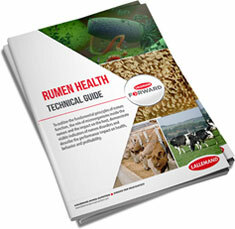 Rumen pH drops below 5.8 and remains bellow this threshold for three or more hours within a 24-hour period. 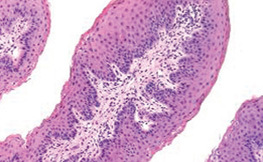 Animals generally have mild diarrhea, lowered dry matter intake and laminitis. Can develop into acute acidosis if the pH is never able to recover. Less common, more severe, usually occurs when pH falls below 5.5. Usually associated to a drastic diet change. 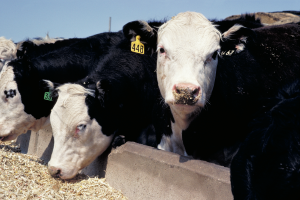 Animals have depressed productivity, go of feed, have elevated heart-rate, diarrhea and may die. 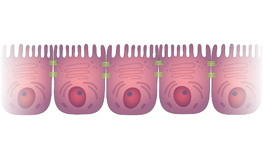 Severe lactic acidosis may cause irregular feeding behavior and gorging, which creates more spikes of acid production. 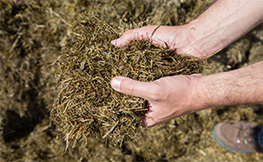 PERFORMANCE - Reduced average daily gain and feed conversion ratio may be due to impaired rumen fermentation in beef cattle. 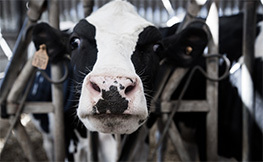 - Low milk production, milk fat and a reduced fat/protein ratio may be due to impaired rumen fermentation in lactating dairy cattle.17ReferenceView allBritt J. S., Thomas R. C., Speer N. C., and Hall M. B. 2003. 18ReferenceView allAllen M. S. 1997. 19ReferenceView allSauvant D. and Peyraud J. L. 2010.
motility during acidosis. 18ReferenceView allAllen M. S. 1997. 30ReferenceView allGrant R. J., Colenbrander V.F. and Mertens D. R. 1990.
production and bacteria endotoxin release. 12ReferenceView allNocek J. E. 1997.
because of irregular intake.22ReferenceView allZaaijer D. and Noordhuizen J. P. T. M. 2003. 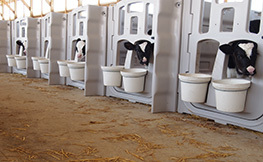 Liquid feces can indicate poor rumen efficiency due to an increased passage rate, from an imbalanced diet and more lower gut fermentation.20ReferenceView allHall M. B. 2002. 22ReferenceView allZaaijer D. and Noordhuizen J. P. T. M. 2003. 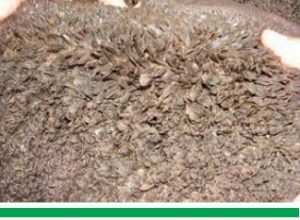 GRAIN Undigested processed grains in the feces because of poor rumen efficiency may be due to an increased passage rate due to an imbalanced or low diet digestibility. 20ReferenceView allHall M. B. 2002. > Eating behavior is negatively affected: cattle prefer to eat during cooler times of the morning and later evening. 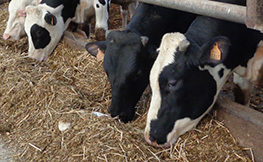 > Dry matter intake is decreased: cattle sort the diet with a lower proportion of forage and higher levels of fermentable carbohydrates. 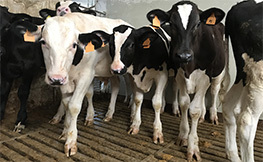 > High loss of saliva (from drooling and open-mouthed breathing) in hot weather decreases the amount of natural buffers to the rumen.31ReferenceView allBurgos Zimbelman Rosemarie and Collier Robert J. 2011. 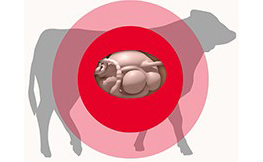 The financial impact of rumen acidosis is staggering. 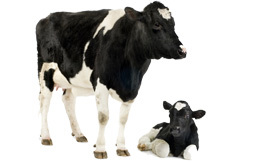 In lactating dairy cows, economic loss can be attributed to: lower milk fat content (-0.76%), depressed milk production (-10%), poor reproductive performance and increased risk of secondary metabolic disorders. 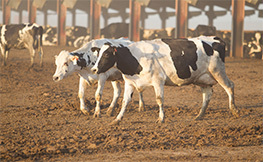 One study estimates the overall impact to the U.S. dairy industry is between $500 million and $1 billion per year.32ReferenceView allKrause K.M., Oetzel G.R. 2006. 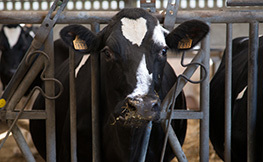 Another study estimates sub acute acidosis costs $34,750 per 100 cows.33ReferenceView allZebelli Q. et Ametaj B. N. 2009. 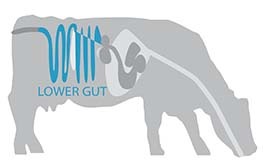 In growing and finishing beef cattle, economic loss can be attributed to: lower growth rate (-78g/hd/d; -0.17 lbs/hd/d), impaired feed-to-gain conversion, lower meat grades, and increased risk of secondary metabolic health events.34ReferenceView allThompson P. N., Hentzen A., Schultheiss W. A. 2006.